Check Rates & Availability at Fairfield Inn & Suites Gadsden! Welcome to the newly renovated Fairfield Inn & Suites by Marriott Gadsden, the only Marriott hotel in the tri-city area, located off I-59 at exit 181 and convenient to all area points of interest. Beautifully decorated guest rooms and suites offer quality accommodations for corporate and leisure travelers. Enjoy a complimentary hot breakfast buffet to start your day. Relax in our outdoor pool or workout in our fitness center to unwind. Unique among hotels in Gadsden, AL, each room has a 32-inch LCD flat-panel HD TV and includes Japanese TV channels. 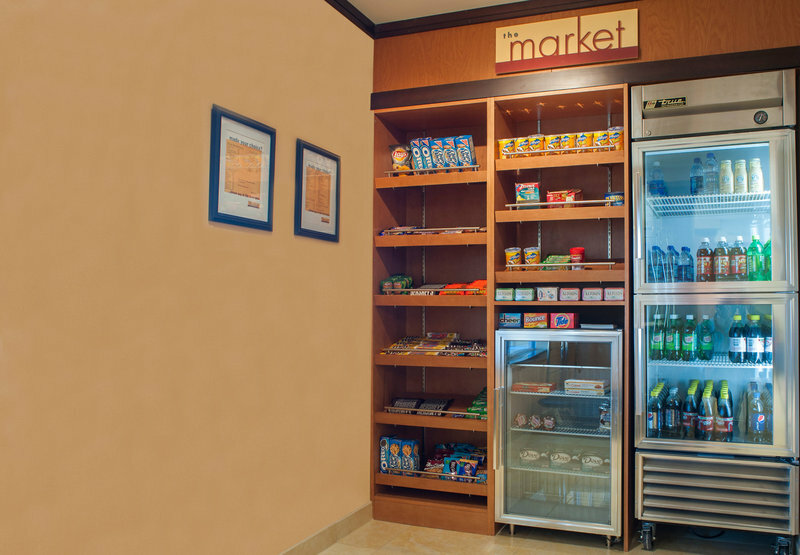 24-hour express market for convenient food and beverage offerings. Stay connected with free high-speed internet in all rooms, public areas, and the 24-hour Business Center. Enjoy the inviting lobby social space to meet or mingle; meeting room available for social or business needs. Experience why this Gadsden, Alabama hotel receives outstanding reviews and enjoy quality lodging at Fairfield Inn & Suites by Marriott Gadsden.